Intricate crown moldings with precision detail to add an elegant decorative architectural touch to any room or outside of a building. Crown Molding Length: 6-1/2 ft.
Crown Molding Height: 1/2 in. Crown Molding Projection: 1-5/8 in. 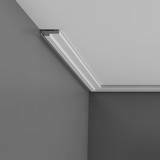 Crown Molding Projection: 2-3/4 in. Crown Molding Height: 3/4 in. 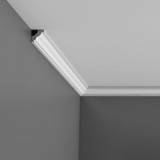 Crown Molding Projection: 3-7/8 in. 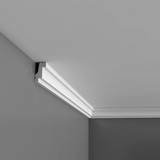 Crown Molding Projection: 2-3/8 in. 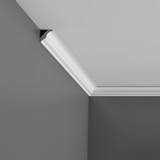 Crown Molding Height: 5/8 in. Crown Molding Projection: 5/8 in. 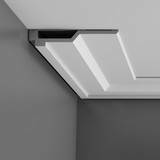 Crown Molding Face: 7/8 in. Crown Molding Height: 1-1/8 in. 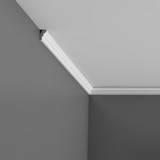 Crown Molding Projection: 6-1/2 in. Crown Molding Height: 1 in. 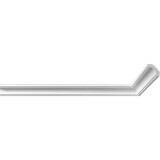 Crown Molding Face: 1-1/8 in. Crown Molding Projection: 3/4 in. Crown Molding Length: 8 ft.
Crown Molding Face: 1-1/4 in. 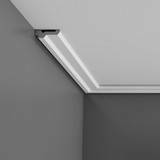 Crown Molding Height: 1-3/8 in. Crown Molding Projection: 4-3/8 in. 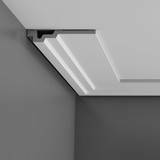 Crown Molding Projection: 1-1/8 in. Crown Molding Face: 1-5/8 in. Crown Molding Height: 1-5/8 in. Crown Molding Projection: 8-1/2 in. 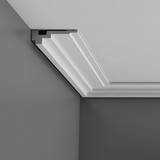 Crown Molding Height: 1-9/16 in. 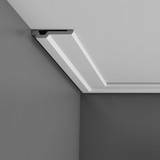 Crown Molding Face: 1-11/16 in. 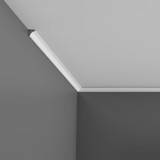 Crown Molding Projection: 1-3/8 in. 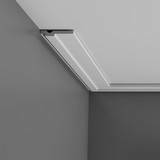 Crown Molding Face: 1-15/16 in.